Grips are crucial to the making of a movie, especially the blockbuster high-budget films. If you have ever watched a movie that felt so real, with all the twists and turns feeling realistic, then that’s the effective and creative job of a key grip in action. So what is a key grip? Let’s take a look. It takes much effort to bring an idea to life on screen, even though the camera can catch all these beautiful moments, it does need a level of assistance. Grips are those ladies and gentlemen that make sure that film production comes to life in ways that make it look so cinematic. The process of shooting movies from a static camera is long gone, these days even choppers are used to shoot scenes, but that is also being phased out with drones. 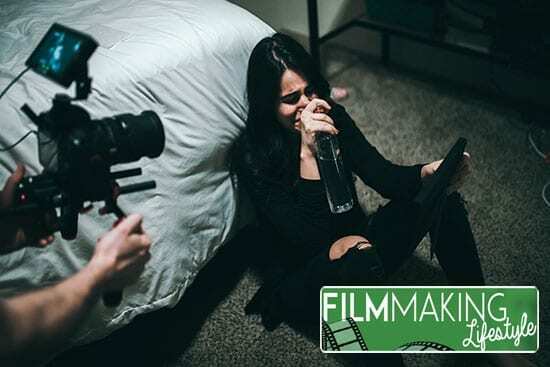 Cinematographers work with key grips to shoot scenes from multiple angles that tell different stories while adding that extra flair which is reminiscent of the best set pieces in cinema history. Key grips are in charge of grips as their name implies. They are the ones that execute complex jobs of monitoring and managing lights and rigging on a movie set. Grips and key grips work underneath a cinematographer (or Director of Photography) in the camera department. There are usually several people handling different aspects of grip work, and they are all supervised by key grips. Some of the tasks and duties of grips include people who work with dolly grips and crane operators. Some others are responsible for setting up mounts in different locations. There are high-budget movies that use specialized cars to record during fights, sword-fighting scenes, and car chasing scenes. Modern camera operators obsessed with camera movement have even turned it up slightly by shooting scenes while on roller-skaters to give life to particular scenes. All these tasks are coordinated and professionally supervised by the key grips who report and confer with the director of photography, who is otherwise known as the cinematographer. These professionals have to work hand-in-hand with the director of photography way before the shooting of the film starts. This is crucial as they have to be prepared with the appropriate tools and personnel to operate them for successful film production. In some cases, they may not have the tools and may have to order those tools to have it available for production. There have been cases where existing riggings and gears have to be modified or reconstructed in order to satisfy the quality and sophistication the movie aims to embody. The key grip is credited at the end of films sometimes as the first company grip. It is not easy being behind the scenes because a lot of work gets done concealed from the end consumers. It is evident there’s so much more to a movie than what the actors or actresses display, even way back in time when they were merely staged dramas. There are so many professionals who give the drama that additional effect that makes it truly exceptional. 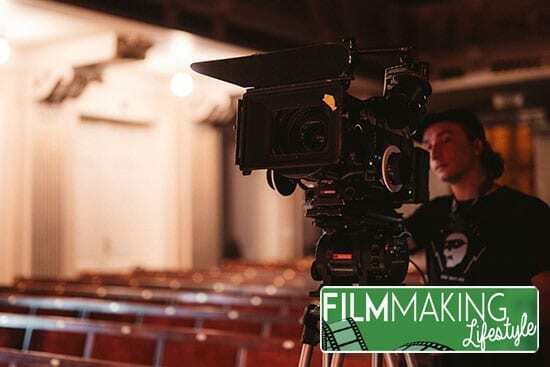 This is why these film production experts are so vital to moviemaking that it is impossible to shoot a film in the modern world without having them on set. As a matter of fact, these guys have to be on set before some actors are even cast to appear in those movies. Also, if you are watching movies that have hidden plot points as the end credits roll, after the casts and crew names have been screened, then you may catch titles like Key Grip, Best Boy Grip. Even if you are not used to seeing these names, by the time you are waiting to see that much-needed post-credit scenes, you are forced to see the crew’s names and titles showing. When filming starts eventually, the Key Grip and the assistant who is referred to as the Best Boy are the ones that will assemble the different camera (and scene) setups alongside the grip crew. You know those camera movements you feel when watching a movie in the cinema that feels like you are right in the film, even when you are watching on IMAX or 4DX? That is the work of the grip crew. Imagine the wonderful ideas that go on in their mind before even setting those things up and interpreting them onto the screen. Directors and cinematographers have a certain way they want their movies to play out. When the grips, camera operators, director of photography, actors/actresses, and the director, all sync with that idea then we get magic on screen. The Key Grip used to do much more than just getting cranes and cameras mounted and handling scene and camera setups. They also did stuff such as handling safety responsibilities. However, now the Assistant Director is tasked with overseeing that aspect of film production. Obviously, this depends on the size of th production. Often, Key Grips who own larger grip companies will own trailers that transport dollies, cranes, mounts, and specialized equipment to film sets. These are just several things that a Key Grip offers a film production, and the expertise of these people keeps growing and increasing by the year. In places like the United Kingdom, Australia, and New Zealand, the key grips work closely with the camera crew. In fact, they often belong to the same company, and their duties differ slightly from that of their counterparts in the United States. When you think of Game of Thrones, the drama series that has been quite a sensation over the last decade, they used several locations around the world. Some of these scenes involved grip crews working in separate locations of different countries at the same time. Therefore, whenever there was a need to move location from one set to another, the key grips were responsible for the transport. Even the Lord of Rings that was filmed in New Zealand was shot in many locations, and the Key Grips with the various grip crews made the movements to these sites possible. These people did all the heavy lifting that is necessary for the success of the film. And, as we’ve covered, the heavy lifting is just the start of their diverse roles on film sets. How Much are Key Grips Paid? When you think of the thrill that comes with the job, key grips can never be bored. The amount of places some of these people get to visit and enjoy just as a result of their job is numerous. Even if it is a city they are already familiar with, they still get to be part of the mini transformation that will be done to those locations. The wages of Key grips vary from about $30,000 to as much as $100,000 per year. It may be a bit difficult and competitive to get high-paying jobs, but making an average of $35,000 annually is quite common. These professionals get to do a lot of improvisation and modifications and watching sets and locations transform is a big perk of the job. A lot of key grips are lifelong cinema fanatics and being on film sets is what they always dreamed about. If you already possess some skills or expertise like being a carpenter, electrician, rigger, or a mechanic, then you’ll fit right in the role. Obviously with a little adaptation. Key grips may not always get the credit they deserve, but we hope this article on what is a key grip sheds some light on this profession. 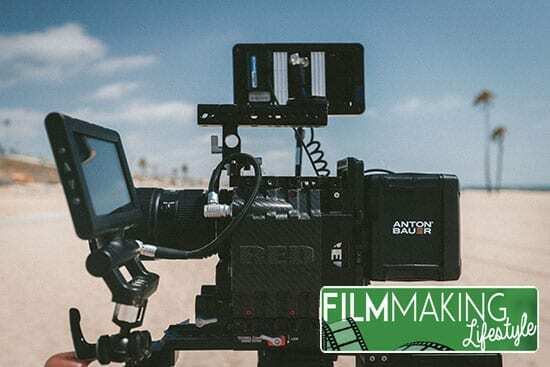 Key grips work extremely hard and their love and dedication to film production has been the engine behind filmmaking successes for generations. You may know Brie Larson from Captain Marvel, who played the title-role, Vers. But one of the vital production crew is Peter Chimes, who is the Key Grip for the action scenes. Peter Chimes has worked on several movie productions including the Fast and Furious franchise, other movies in the Marvel universe like Ant-Man and the Wasp, and also has worked with DC on the hugely popular Black Panther. We hope this article on key grips and what they do has let you into their world. If you want to become a Key Grip, then Careers In Film have put together a great resource on finding work. Have you worked on a film set as a Key Grip? Let us know in the comments below here.